Location: On the north side of Sigglesthorne Road. 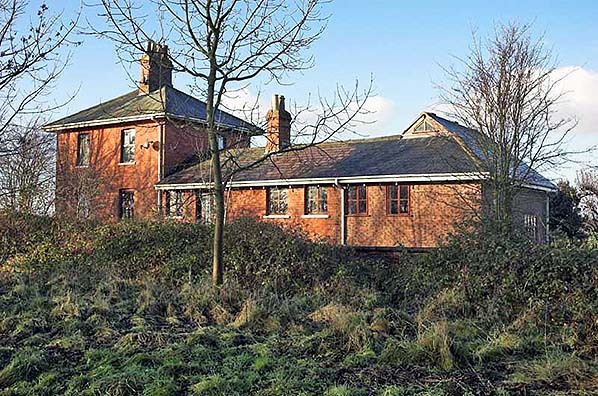 Present state: The station house and station building is a private residence. Both platforms and the goods dock survive. Notes: The station actually served the village of Great Hatfield, and was originally named Hatfield. This was changed to Sigglesthorne from 1.10.1874 to avoid confusion with Hatfield near Doncaster. 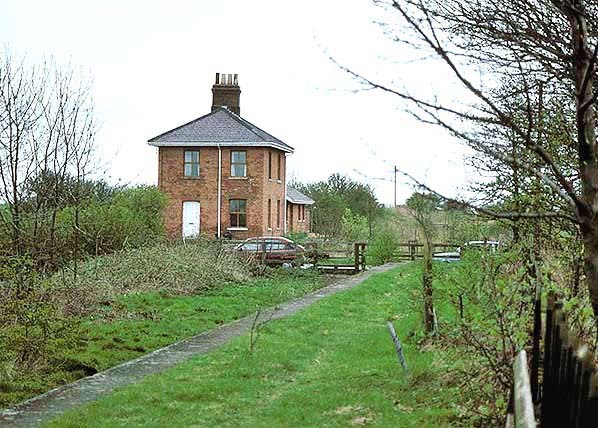 Sigglesthorne originally had a single platform on the down side but when the line was doubled a second up platform was provided on the south side of the level crossing. The goods yard was sited opposite the platform and comprised two sidings, one running parallel with the running line and the second running up onto coal drops. The parallel siding was realigned to the east when the line was doubled. 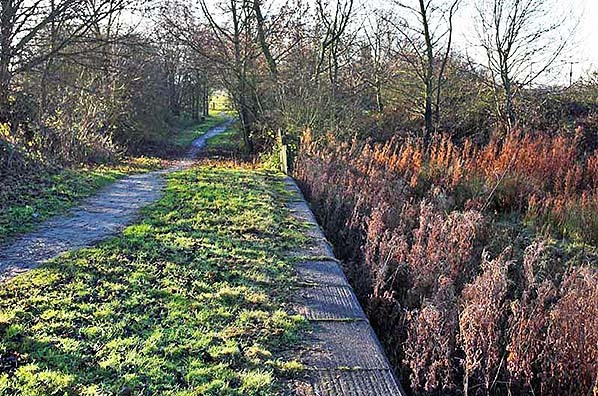 At some time other siding was also realigned to allow a dock to be built between the two sidings. Goods services were withdrawn from 11.10.1963. ISBN 0 0907033 86 5. Route map drawn by Alan Young. Tickets from Michael Stewart. 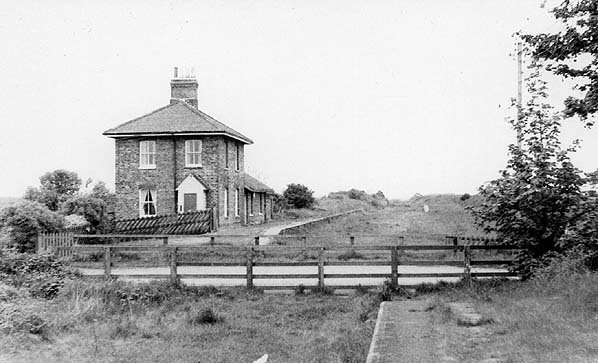 Sigglesthorne station looking north-east at the down platform from the level crossing c1905. The small brick building on the right is the weigh office at the entrance to the goods yard. 1891 1:2,500 OS map shows the original layout of Sigglesthorme station with a single platform on the down side. There are two sidings opposite the platform, one parallel to the running tine and the other running onto coal drops. 1921 1:2,500 OS map. The line has been doubled and a second up platform has been provided to the south of the level crossing. The siding running onto the coal drops has been realigned to accommodate a dock. 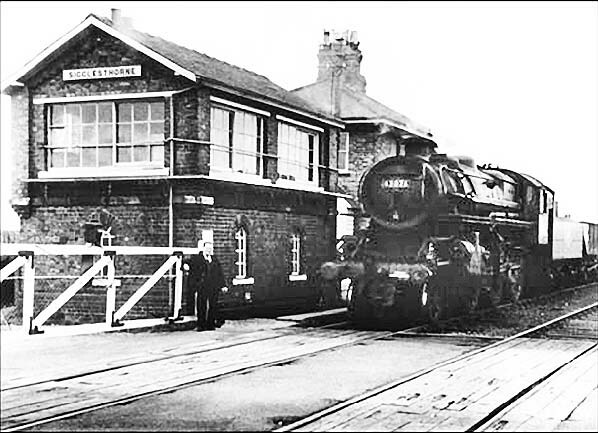 A southbound goods service is seen at Sigglesthorne station c1950s. It is on the wrong line so may be shunting. 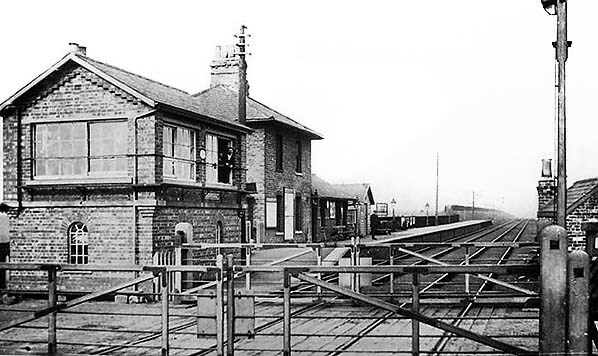 Looking north-east from the up platform across the level crossing at Sigglesthorne station c.late 1960s. The signal box seen in the picture above has been demolished. The staggered platform are clearly seen in this view. The track can still be seen embedded in the road. 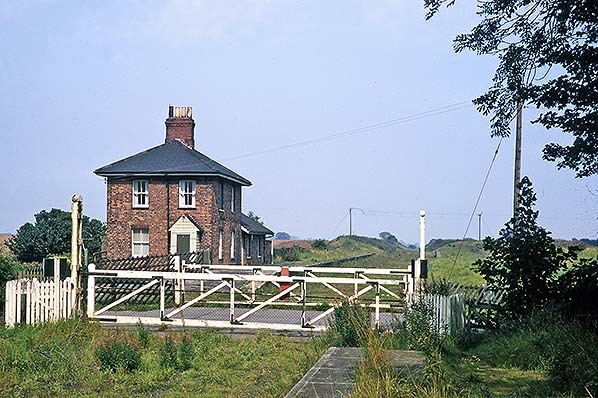 Sigglesthorne station in May 1975; the crossing gates have been removed and the track has been removed from the road. 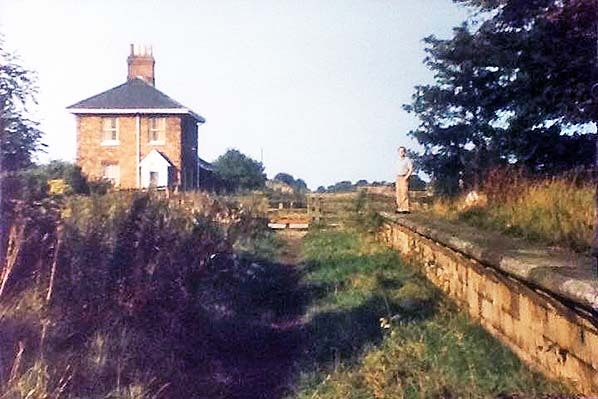 Sigglesthorne station looking north-east in October 1985; the up platform is seen on the right. 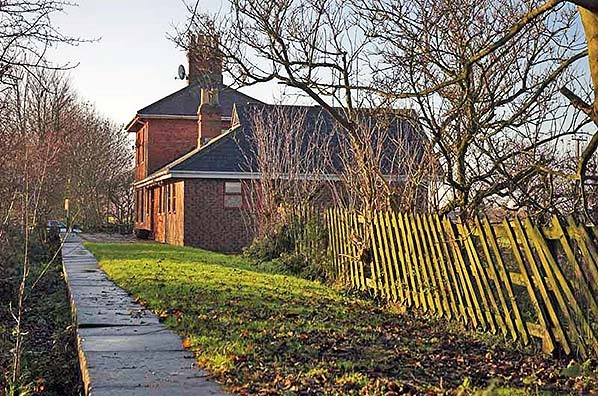 Sigglesthorne stationmaster's house and waiting room from the Hull platform, looking towards Hornsea, in April 1991. Looking south-west along the down platform at Sigglesthorne station in January 2009. 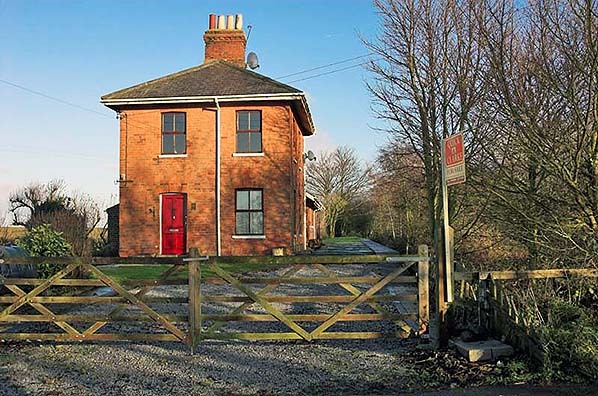 The station house and buildings on the Sigglesthorne down platform in January 2009. 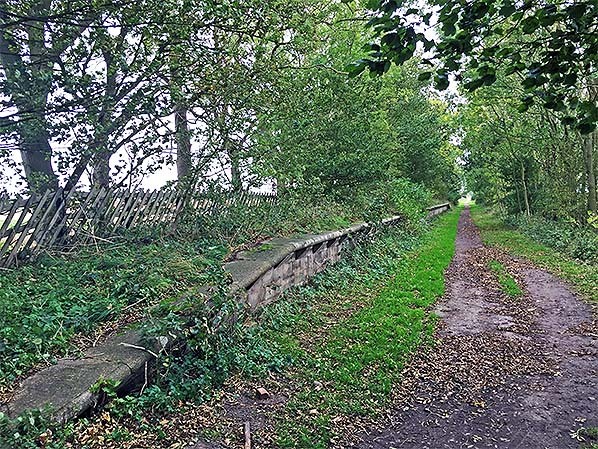 The Hornsea Rail Trail is diverted onto the goods dock opposite the down platform and along the access road to the goods yard. It rejoins the line on the far side of the level crossing. Sigglesthorne up platform looking south-west in July 2017. 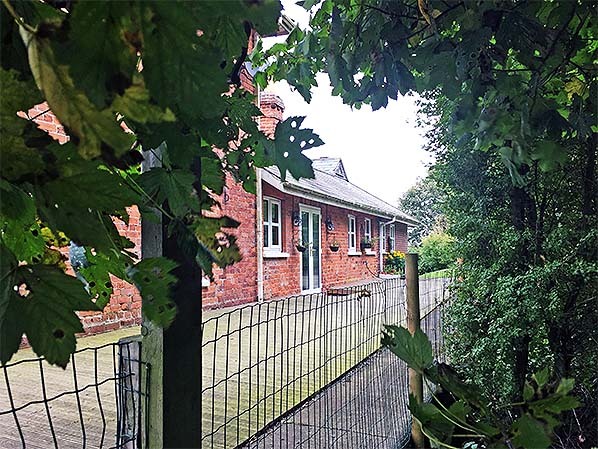 The Hornsea Rail Trail runs through the station site.